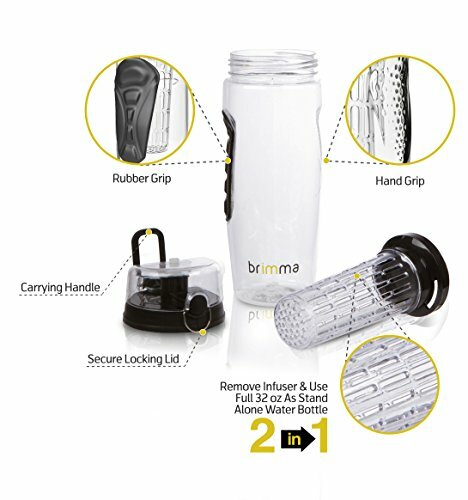 Brimma leak proof fruit infuser water bottle system guarantees that you’ll be able to enjoy the healthiest and most flavorful water no matter where you are. 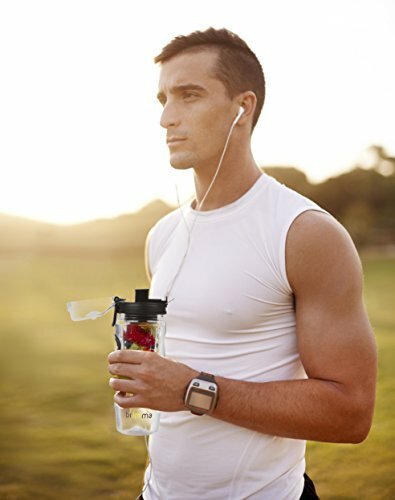 Perfect for the home, office, gym, yoga, CrossFit, sports, hiking, cycling, camping, as a unique gift, and more – you’re going to love the fruit infuser water bottle! ✔ EASY CLEANING Easy to clean and TOP-RACK DISHWASHER SAFE. Brimma Infusion Tumblers Make For The PERFECT GIFTS! ✔ CUSTOMER SATISFACTION GUARANTEE; If you aren't 100% happy, we aren't happy. Try it today; if you aren't totally satisfied, WE'LL GIVE YOUR MONEY BACK - TODAY! Backed by our LIFETIME GUARANTEE. 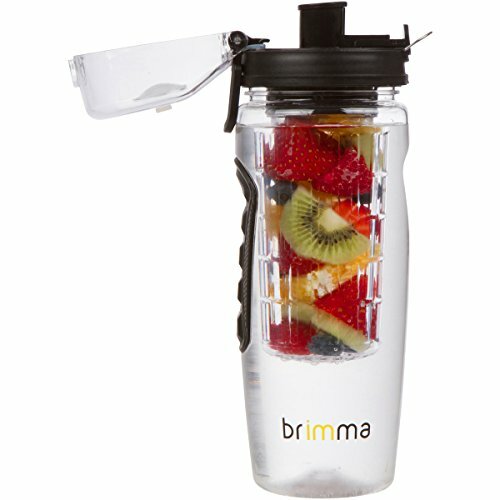 Enjoy Maximum Hydration With The Brimma 32oz Fruit Infuser Bottle! Save money while improving your health at the same time! Is it really leak proof? Yes, no leaks what so ever with this bottle. You will not be disappointed with this bottle. Great size: It’s not too much water that I can’t finish it. It’s also not too little where I want more. 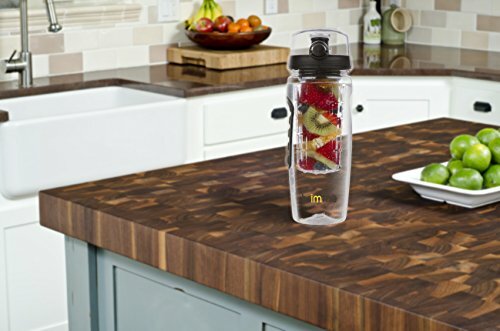 Infuser space: More than enough space to cram all the different fruits or veggies you want to infuse your water with. Extra tip: Try strawberries, cucumbers, and mint. It makes for a really nice, light, infused water. 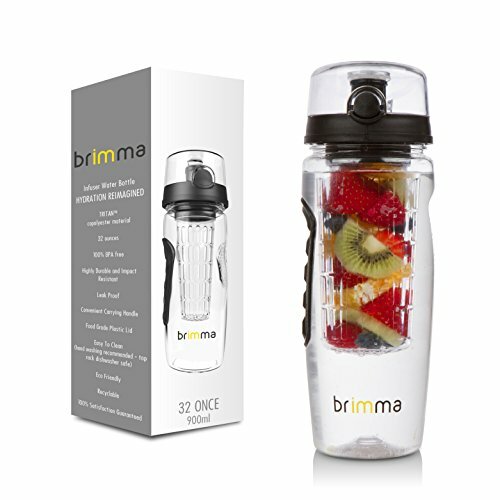 The Brimma Leak Proof Fruit Infuser Water Bottle seems like a no-brainer purchase if you are looking to drink some great tasting water. It is well made, money back warranty, with a ton of satisfied reviewers. We liked it so much we bought a few for ourselves. 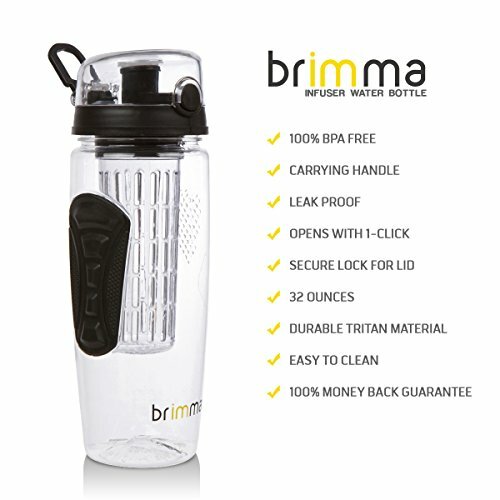 Price history for Brimma Leak Proof Fruit Infuser Water Bottle, Large 32 Oz.